One of the highlights of Universal Audio’s Apollo Twin interface/DSP Engine (reviewed August 2014) is its Unison preamp technology, also found in the original 8-channel Apollo. Unison uses software coupled with physical hardware to emulate the sound and characteristics of vintage mic preamps. Unison starts with a clean, uncolored microphone preamp of UA’s own design. Then, through the magic of circuit modeling, you can inject the colors found in the modeled preamps into your sound. However, unlike a typical plug-in, this all happens at the input stage, not in the DAW, and it’s not only a software process. The preamps in the Apollo and Twin are digitally controlled and designed to alter not only their gain staging, but also their impedance, to match the original hardware’s specs. My August review had me comparing my own SOLO/610 pre (reviewed January 2007) with the company’s UA 610 Tube Preamp & EQ Plug-In Collection; I was quite pleased with the “feel” and reaction time of the plug-in models, which did a great job of capturing the spirit and vibe of the classics — so much so that for those tracking sessions I stayed with the new 610-B model for the whole session. In addition to the 610 series, there are currently two other mic pre models available. One is the 212L preamp module found in UA’s recreation of the API Vision Channel strip; thanks to both UA and API, we will have a side-by-side comparison of the plug-in and the hardware coming up in a future issue. The other current model is the ubiquitous Neve 1073, which we will be reviewing here. New Unison-infused designs are on the way; we got a glimpse of some cool upcoming models (including guitar pedals!) at NAMM, as reported in this issue. 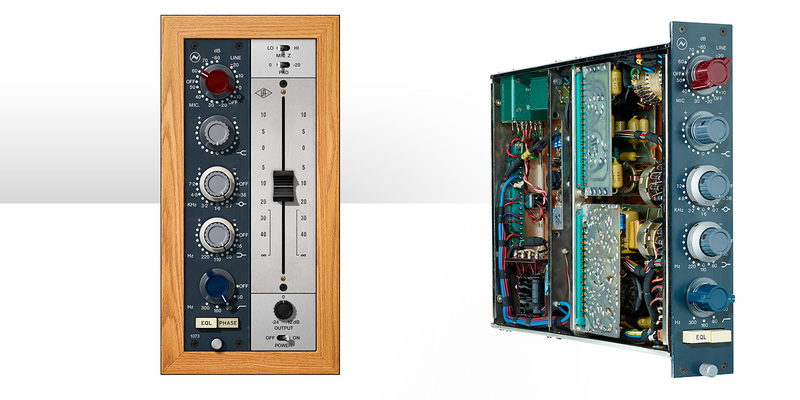 The 1073 mic preamp/EQ was built by famed console designer Rupert Neve and dates back to 1970, where it was part of the Neve A88 console custom-built for Wessex Sound studios. It soon became an official part of Neve’s line as part of the 8014 desk. The 1073 was superseded in 1973 with the launch of the similar, but expanded 1081 and 1084 mic pre/EQ modules, the latter used in the 8048 console that recently became a movie star in Dave Grohl’s film Sound City. Thanks to its sound and helped by decades of third-party clones, as well as the current AMS Neve spec-for-spec reissues, it’s not much of a stretch to say the the 1073 is one of the best known and most sought after mic preamps in history. Thanks to the cooperation of AMS Neve in England and the generous loan of a brand-new 1073N from our friends at Professional Audio Design, I had a chance to listen to the hardware and software side by side. If you are thinking, “Wait, didn’t UA already release a 1073 years ago as part of a larger Neve bundle that also included the 1081?” Yes, they did. That original bundle is no longer available, although you can still get the Neve 1081 by itself (and a non-Unison version of the 31102, which is electronically identical to the 1084). As with all of UA’s upgraded versions in the past few years — like the Teletronix® LA-2A Classic Leveler Collection, 1176 Classic Limiter Plug-In Collection, and the Fairchild Tube Limiter Plug-In Collection — the now-Legacy version of the 1073 and its lighter 1073SE variant are included with the newly modeled 1073 as part of the new 1073 Preamp & EQ Collection. 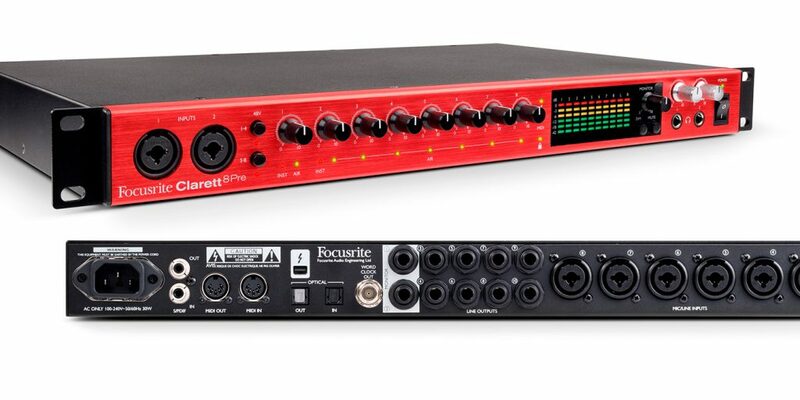 The 1073 is equal parts microphone preamp and equalizer. The preamp is a Class-A design with transformers on both its input and output stages, which many argue are its most important sonic components. (The folks at Universal Audio disagree, saying the transformers are actually among the most linear, best-behaved components in a very complex circuit.) The original transformers were made by Marinar. As popularity grew a second manufacturer, St. Ives, was brought on board to help with the increased demand. All 1970s-era units will include one or the other, and while I have seen online debates as to whether one is superior to the other, they are essentially the same design. Current production units use transformers made to the same specs in the original St. Ives factory, now doing business as Carnhill. Controlwise the 1073’s mic pre starts and ends with one single knob. Unlike most modern mic preamps, where a switch selects between line or mic input while a gain pot controls the level, the 1073’s famous “big red knob” does both at once. Both level and source are chosen based on which side of the knob you are on. Mic levels of +20 dB to +80 dB (these are input sensitivity settings, not input gain numbers) are on the left side in 5 dB steps, with line level settings of +10 to -20 dB selected on the right side. There is an Off position between the two ranges, and another Off position between 50 and 80 dB on the mic side. To modern eyes this can be a tad confusing. It’s very easy, on both the hardware and plug-in, to spike your speakers if you move from one side of the knob’s range to the other without paying attention. This will only happen with a mouse click to a different range, not with a mouse drag, but be careful anyway. The 1073 has two possible impedance settings: Hi (1200 Ohms) and Lo (300 Ohms). In default mode the unit is set to Hi. This lets you adjust the 1073 to suit a particular mic; it’s not like the “Hi-Z” instrument-level setting on modern preamp designs (those impedances range up to millions of ohms). When line level is selected, the unit’s impedance defaults to a third 10 kilohm setting. On vintage units you had to crawl under and inside the desk to switch impedance; modern units have a rear-panel switch. The original 1073 included a white phase switch and a matching EQL button which engages the EQ section. 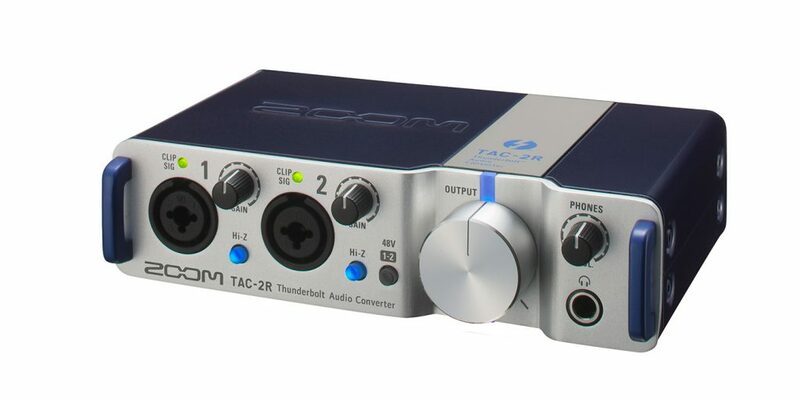 Some modern units like the 1073N also offer a 20 dB pad, which the new plug-in offers as well. The original Wessex EQ, as some call it, is a 3-band semiparametric EQ with an additional 5-position hi-pass circuit. The first control is a single variable grey High Shelf knob offering ±18 dB at 12 kHz. This 12k sparkle and sheen is one of the 1073’s most famous features. Next is the Midrange band, which uses a dual concentric pot. The stepped outer ring selects between frequency choices of 360 Hz, 700 Hz, 1.6 kHz, 3.2 kHz, 4.8 kHz, 7.2 kHz, and an Off position that disengages the band. The variable inner knob boosts or cuts the chosen frequency around ±15 dB. The Q is self-adjusting and gets narrower the more it is pushed. After this is a similarly designed Low band with frequency choices of 35 Hz, 60 Hz, 110 Hz, 220 Hz, and Off. Finally we have the High Pass; its large blue knob is similar to the red preamp control and offers five selectable settings of 50 Hz, 80 Hz, 160 Hz, 300 Hz, and Off. Nowadays AMS Neve offers a 1073 for every application. There are drop-in modules that can sit side by side with their vintage brethren in a console, or be racked in a multichannel frame or in 1-or 2-slot enclosures. 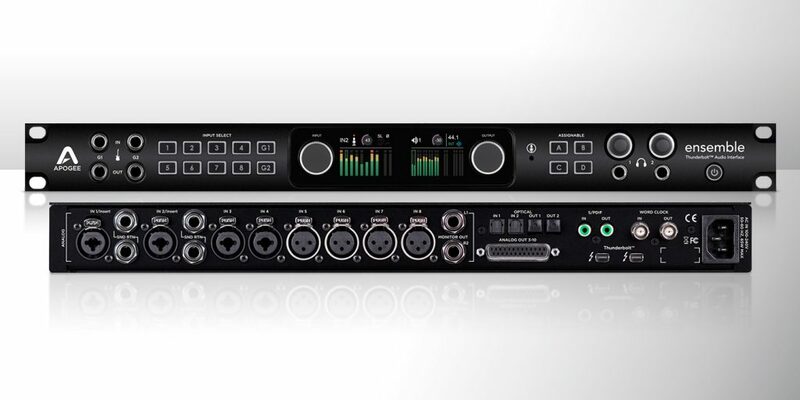 There is a 19″ rackmount version, separate mic preamp and EQ versions for use in an API 500 series rack, and the version I was sent — the 1073N, which is a standard 1073 module inside its own custom built single-channel casing. In every instance the basic controls are unchanged. On the 1073N, the pad, impedance switching, +48V Phantom power, ground lift and such are located on the rear of the unit. Also on the rear panel are a Neutrik Combo XLR/TRS input jack, an XLR output, a master power switch, and a input for the external line lump power supply. There are also switches for external level control, 5k1 termination, and a blue multi-socket output as would be used when seating a 1073 module in a rack or desk. As with all UA plug-ins, the Neve’s visual and functional attention to detail is phenomenal. Every button, knob and switch functions and reacts just like its hardware counterpart. The new plug-in 1073 is mounted vertically, whereas the Legacy version was horizontal, and the new version is nice and large compared to the much smaller Legacy UI. The plug-in 1073 is mounted in a virtual wooden enclosure with the module on the left. The right “module” contains Impedance and Pad switches, followed by a large Penny & Giles output fader just like you’d find on the original 8014 desk. This fader allows you more accurate control when driving the input hot for saturation and distortion purposes. Below the fader is an additional Output trim knob with a throw of -24 dB up to +12 dB for further fine-tuning your levels in your DAW, and lastly there is a power switch that bypasses the plug-in. The new plug-in accurately models the entire circuit of a “golden” 1073 from point to point, with special attention paid to the original Marinar transformer. The Legacy 1073 model was created with a linear approach that is accurate, but does not offer the non-linearities of the circuit design. These nonlinearities give the new model a more analog sound, especially when pushed into saturation and distortion. Also, the input control of the Legacy plug-in was a simple gain knob, whereas the new version is 100% accurate to the hardware in function and design. I started by taking the 1073N out for a spin along with a Chandler TG2 and a Great River MP-500NV, just to get my own personal bearing on the “Neve 1073 sound.” I quickly learned that the 1073 is everything you have read over the years. It has a beautiful top end sheen, but with a nice subtle edge, a punchy low mid, and tight solid bottom end. As I did with my 610 comparison, I used a pair of Lauten Atlantis microphones to track an entire song with drums, bass, electric guitar, acoustic guitar, double-tracked lead and backing vocals, tambourine, and shaker. One mic went into the Apollo Twin with the 1073 plug-in enabled; the other went into the 1073N hardware, then into the Apollo Twin at line level. The challenging part of reviewing this plug-in alongside the hardware is that unlike a typical plug-in comparison, here you have multiple variations on a theme. Do you compare just mic pre to mic pre? Mic pre with added EQ to “tape” or just the EQ sections during a mix? Of course the correct answer to all three is Yes! I tracked many sources twice, both with and without matched EQ at various impedance settings, and I also used just the EQ section on a mix. It’s become common in plug-in vs. hardware duels to distill everything down to: “The plug-in is close, but lacks that analog something that we often call air.” Where UA’s new Unison technology changes things significantly is that there is an actual analog process involved. Highlighting or discounting the analog-air factor becomes a bit tougher. So how do the two compare? First, it’s not air, but a slight 2-3% intangible high sweetness, that I heard in the hardware at times. There was also a slight difference in low-mid weight, with the plug-in being a hair more forward-feeling and the hardware just a tad fuller, yet more laid back. Much of it was only noticeable when tracks were mixed together; in blind comparisons it was often a case of “did I really hear that?”. All in all, this is some of the closest modeling I have heard from UA to date, maybe even better than the Massive Passive Plug-in (reviewed February 2015) which is a personal favorite. What impressed me most on the mic pre side was how similarly the two units react to input sources, both functionally and sonically. The new Neve 1073 plug-in really shows off how successful the Unison impedance matching is in a big, big way, especially on dynamic and ribbon mics. The one difference that surprised me here was that with a Shure SM7 on vocals, I did notice that the Apollo Twin-1073 actually exhibited a bit more headroom before driving the input compared to the hardware. To my ears the biggest difference between the two units was in the EQ section (confirmed by UA, who note that the modeled 1073 and 1073N do sound slightly different), but more in settings over tone. In some instances, most noticeably the low end, when setting the controls equally it was a tad sonically off in terms of weight. The plug-in took a little forward nudging of the little round dots before the tone was evenly matched. So sonically they were really close, but the calibration was gently skewed between the plug-in and the Neve hardware I was borrowing. Not a big deal, really — in an actual mix I am not concerned with matching hardware settings, I just turn an EQ dial until it sounds right! I was expecting the new 1073 plug-in to essentially make the Legacy version obsolete. While the new version definitely wins in the “hey, it sounds like analog” department, I was impressed with how well the EQ points and characteristics matched up between new and Legacy. The Legacy lacks the nonlinear harmonics and subtle distortions of the new, but in a full mix I was content using the older version alongside the new one when I ran out of DSP. And speaking of running out of DSP, my only real disappointment with the new 1073 is how ravenous it is — it takes up 40% of a UAD-2 SHARC processor chip in mono and 68% in stereo, with some savings if you disable the EQ (the preamp keeps the lowcut filter anyway). On an Apollo Twin DUO you can get 4 instances in mono or 2 in stereo; a rack Apollo QUAD would double those numbers. I am disappointed only because this plug-in sounds so amazing and I selfishly want more. If you compare it to the Legacy version, which can run 20 mono/12 stereo instances per SHARC, it highlights how intricate and detailed the modeling is on the new version. I use the Apollo Twin / 1073 plug-in combo for tracking vocals, acoustic guitar, and voiceovers in my edit suite at my day job as a tech director. I have also found said combo invaluable for remote tracking outside of the studio; I feel no need to risk my hardware preamps on the road any more. It seams almost anticlimactic to say it, but Universal Audio has done it again. When you consider that UA has taken the world’s most famous microphone channel head on, and created a tracking-friendly version that comes frighteningly close to the original at a fraction of the cost (even throwing in an Apollo Twin), then the accolades are fully deserved!